What Can You Do To Prevent Catching A Common Cold? Though most of us have two to three common colds every year, there are indeed things we can do to prevent them. What do you need to know to protect yourself and others? If you want to avoid getting the flu, you can get a flu shot to protect yourself and others. The process of developing flu vaccines is complicated enough in itself, because strains evolve and the formula constantly needs to be updated, but for the common cold, caused by so many different viruses, there will probably not be a vaccine for a very long time — if ever. That doesn't mean you're completely powerless if you would really like to prevent common colds, though. What can you do to protect yourself and others? Most people with common colds have rhinovirus — one of the more common causes of the cold — on their hands, and that virus was also found on 43 percent of plastic tiles touched by these people. 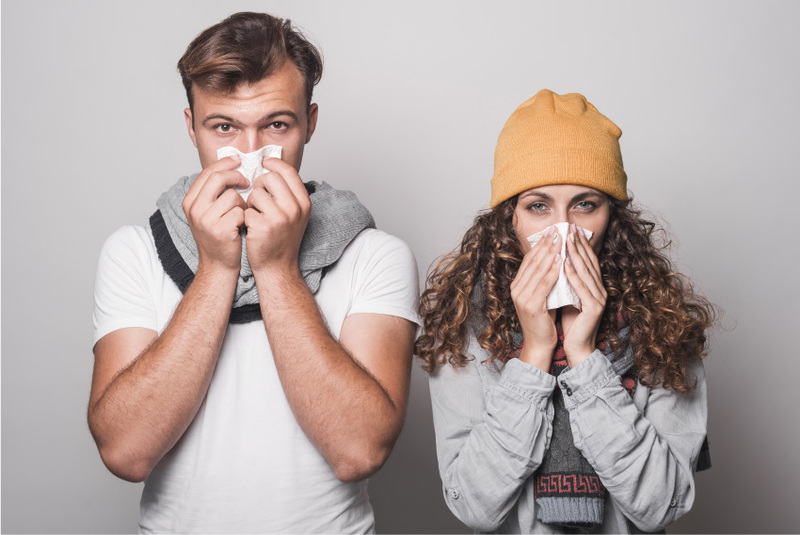 A study that invited people with colds to stay in a hotel overnight revealed that 35 percent of the objects they touched there contained rhinovirus. Rhinovirus can survive on dry surfaces for up to a week (!!!) and for at least two hours on the skin. What about nutrition? Doesn't that matter? The idea that taking large doses of vitamin C prevents colds is especially common, but there's no evidence that it works — even though vitamin C may, in fact, help you recover from a cold more quickly . There's also little proof that probiotics , zinc , vitamin D , or Echinacea  play much of a role in preventing common colds. How Can You Protect Other People From Colds? Stay home when you have a common cold, if you can. If you can't, stay away from other people — no shaking hands, hugging, kissing, and so on. Sneeze and cough into a tissue that you then discard, and then wash your hands considering the fact that you will get germs on your hands. You can also cough and sneeze into your elbow instead. Because you touch so much stuff with your hands, this will help prevent you from contaminating surfaces that others will then touch. Disinfect surfaces you touch — think doorknobs, smart phones, keyboards, and the like — with antibacterial wipes. Common colds are merely annoying to most people — and even that is plenty reason to take steps to try to prevent them. For vulnerable people with weakened immune systems colds can, however, be genuinely dangerous. Protect yourself and your community by washing your hands often, remembering to disinfect commonly-touched surfaces on which cold viruses often live, and training yourself to not touch your face so often.